In this tutorial, the 1st step is to click on the features tab and set your ads. 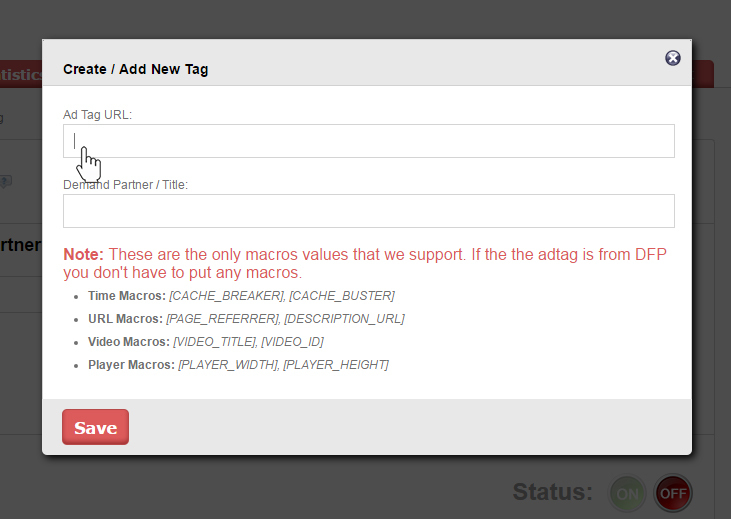 When your ads are set they will appear in the dropdown on video setting page. 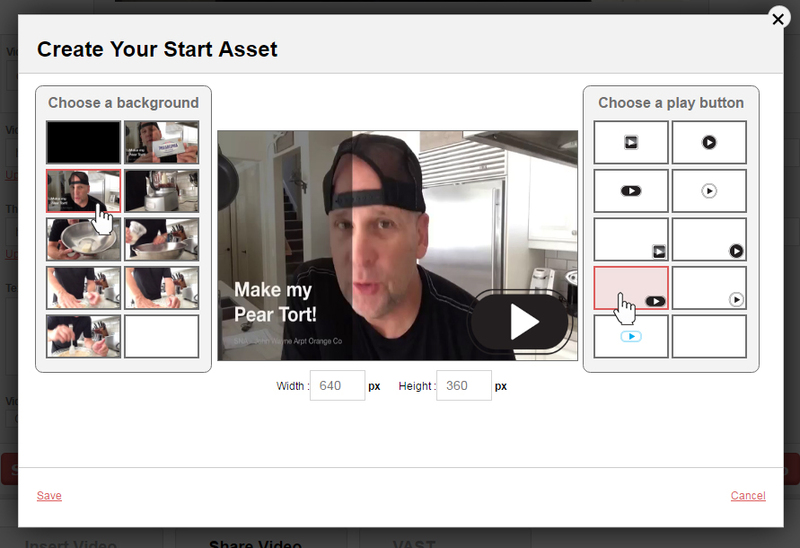 And then go to videos tab, choose the desired video title, then go to “Start Asset” Select, Create Your Own.” Choose desired frames and click “save”. Scroll down to share video and again scroll down to get the embed code, copy the load script, insert it into your web page. After you share the video like this the video will appear the way in the Embed video.